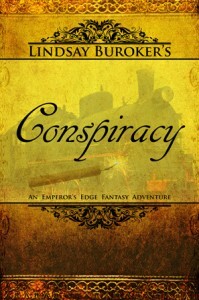 Review: Conspiracy by Lindsay Buroker – Escape Reality, Read Fiction! 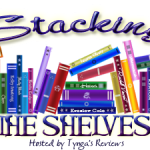 The Emperor’s Edge books are my current “book treats”. 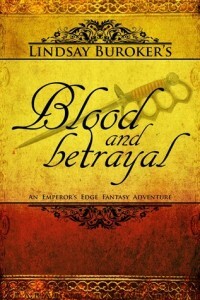 I read one when I get ahead in my reviews because Buroker’s combination of fantasy and steampunk is always delicious. There’s something particularly appealing about the team-building aspects of the story, as this rag-tag group shifts and constantly snarls at one another but still somehow manages to make a cohesive (okay, semi-cohesive) unit. That her hero is an unrepentant assassin reminds me of the best anti-heroes of fantasy, the series reads like excellent sword-and-sorcery, only with even more snark. Conspiracy is Akstyr’s story, at least in the parts where it isn’t Amaranthe and Sicarius’ story. It’s always Amaranthe and Sicarius’ story. Amaranthe is the person who holds the whole mess together, more or less. In this case, and Akstyr’s case, it’s very nearly less. The kid, and he’s just 18, is their magic practitioner. Problem of the first part, the empire officially does not believe magic exists. Problem of the second part, anyone found practicing magic gets killed. Leading to problem of the third part, Akstyr is self-taught, and really wants to leave the empire for someplace where he can learn how to use his powers. The poor fool thinks he can fake betraying Sicarius in order to pick up enough of the reward on that head. Sicarius is the best assassin in the world. No one will touch that reward. Instead they betray Akstyr to Sicarius. His own long-lost mother turns up and betrays Akstyr for the reward on his head. The kid is having that kind of life. Meanwhile, there’s a much bigger conspiracy going on. The emperor, in a very roundabout sort of way, requested that Amaranthe and her gang kidnap him from the mercantile warlords who are holding him prisoner in his own palace. It’s a tough job, but Amaranthe and company can just about manage it, using an airship to steal the emperor away from a moving train. But while they’re conspiring to kidnap their willing victim, there seem to be at least three sets of dastardly villains on their way to murder or capture them, or the emperor, or both. How many traps are involved? Who wants whom, and what is the big, black, scary airship looking for? Escape Rating A: Conspiracy gets off to a fast start, and never lets up. A lot of the action takes place as the group tries to take over a moving train, and the story has the speed of a runaway locomotive. Everything happens at breakneck speed and under the gun (several guns). The pressure is constantly building. Akstyr figures out who he wants to be in this story. He’s been drifting along with the group, while trying to pretend he’s not really part of it. In Conspiracy, he half-attempts one purposeful betrayal, and accidentally succeeds at another. But he learns what his place is, and shows real growth as a character. Watching the dance between Sicarius and Amaranthe is always fascinating. It’s one step forward and half a step to the side in a lot of ways. They both want a future, but he doesn’t know how to be anything but an assassin and she knows he’s a loaded weapon. But they can’t help caring for each other, even though he doesn’t quite understand what that means for real people. Conspiracy ended in an “out of the frying pan into the fire” type cliffhanger. The situation was not resolved and there is no let up in the tension whatsoever. I can’t wait to see where Blood and Betrayal takes our heroes next. This looks like a great read, this review was awesome. I love a good fiction read. I just came off a high after reading White Thaw: The Helheim Conspiracy. Paul Mark Tag the author writes great books, he uses weather as the hook in this one. Global warming and the like, info at http://www.paulmarktag.com/about_the_author.html. 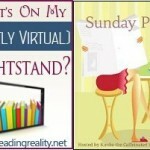 A great read to add to your tbr lists for sure! Thanks again for this review, I am going to get my hands on this one!